Ms. Shapiro is a retired executive with over 35 years of diverse experience in sales, operations, marketing and manufacturing. Early in her career she supervised major distribution centers for the health care industry managing their customer service, warehouse and transportation programs. After several roles of increasing responsibility and breadth of scope, she assumed senior management roles, leading large customer service/call center operations. She concluded her health care operations career in 1995 as Vice President, Customer Service for a major laboratory supply company. 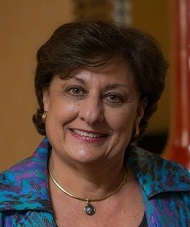 In 1996 Ms. Shapiro began a second career as an executive search consultant. In addition to the recruiting side of search, she worked as a senior level talent consultant to major corporations such as Campbell Soup, Scotts Miracle-Gro and Con-Agra. Searches completed were executive team and board positions. She retired from executive search as Vice President/Managing Director in 2001. Soon after retirement she began an encore career assisting her husband in the managing of their Houston-based business, QPower, Inc., a leading manufacturer and importer of speaker boxes and accessories serving the wholesale marketplace. After a well-planned and successful succession process, Ms. Shapiro is now nearly retired, serving in an ad hoc advisory role to the QPower leadership team. She is a docent and holds various leadership roles at the Holocaust Museum Houston. She is also a mentor, lecturer, former membership Chair, Chapter Chair, District Director and Advisory Board Member of SCORE National. She is the current Education Chair of that organization. She is also a member of the Small Business Administration’s Advisory Board. Beth is the proud recipient of the 2012 SBA Counselor of the Year – SCORE, awarded to her out of 13,000 nationwide SCORE volunteers. Beth obtained her Bachelors Degree from City College of New York and a Masters Degree from Queens College.